The picture runs across the 72" width. Smoke free workplace of professional seamstress. All work is guaranteed. Blankets with finished edges have a look of gift giving quality! This is a single bed size fleece blanket throw. Shop early for holiday gift giving. 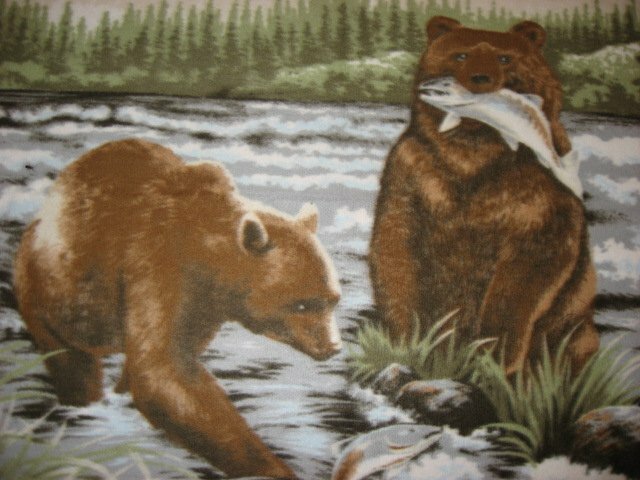 Depicts beautiful Bear in the river cSuper soft!! So lovely! Pretty bear paw print border. Nice gift for your favorite bear lover. Single thickness. Same picture on both sides. 100% polyester, machine wash-cool, tumble dry-low, remove promptly. The edges are clean finished with pretty stitching. 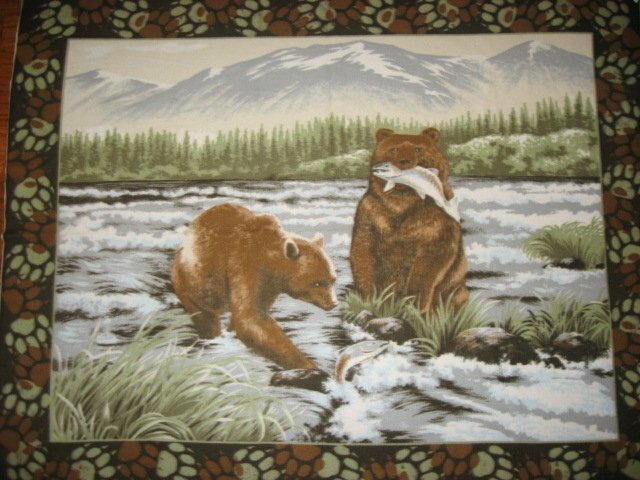 Measures approximately 56"X72"wide.